Rent the Baby Gear: (2018 Update: Unfortunately, this company is no longer in business. It may be time for a new post on renting baby items!) Although it would take a miracle company to actually accomplish Rent the Baby Gear’s goal — “make travel with children safe, simple and hassle free” — their service does sound pretty great. 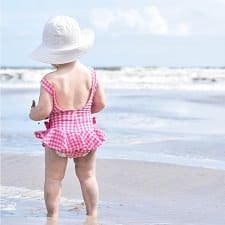 At least four business days before you need a baby-related item for your trip, reserve it on the website and Rent the Baby Gear will ship it for free (via UPS) anywhere in the continental U.S. (You can take it abroad if needed.) When your trip’s over, you choose to either drop off the items at a UPS location (a prepaid return label is provided) or have them picked up. Don’t expect pristine baby gear — “Our gear is best described as ‘Loved,'” the FAQ page admits — but the company says it cleans and checks everything when it returns to the warehouse. Baby’s Away: This company only operates in 28 states, and its website doesn’t go into as much detail about the rental process as Rent the Baby Gear’s does. (From now on, I’ll just call them RtBG). They’ve been around since 1991 (! ), however, so they must be doing something right. Parents visit the site and reserve what they want, and then a “local operator” sends an email to confirm the item is available in the chosen area and to indicate the price, sales tax, and delivery fee. At that point, you can pay online. The company’s website notes that all items are cleaned and sanitized before going to the next customer and that everything “is either new or in excellent condition (gently used).” Unlike RtBG, Baby’s Away allows parents to rent baby gear for less than a week at a time, although the advantage that RtBG has over Baby’s Away is that parents know which brand they’re getting when they reserve an item. 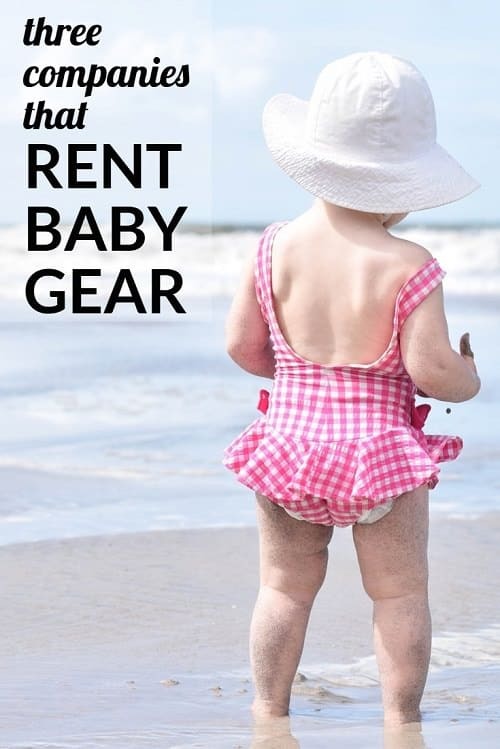 Babies Getaway: To rent from this company, which was founded in 2012, customers visit the site three to four days before they need an item, enter their travel dates and preferred delivery/pickup times, then click on “Rent Now” to find out the cost. Babies Getaway can deliver and pick up baby gear in the continental U.S. and charges $20 for airport delivery, which is only available in New York, New Jersey, and Connecticut. The company offers competitor price-matching, a 24-hour hotline, iOS and Android apps, and a thorough maintenance program it boasts about on the site: “Unlike our competitors, we take great pride knowing that our fabrics are washed extensively with products such as Dreft and Natures Organics. Items are sanitized, steam cleaned, inspected for loose bolts and screws, and checked upon for expiration dates.” Babies Getaway provides more products (and brands) than the two websites mentioned above, including gliders, diaper pails, changing tables, potty seats, baby monitors, humidifiers, white noise machines, and even bikes and scooters. Do you rent baby gear while traveling (or for any other reason), or do you usually travel with all of your own things? Have you ever used one of these companies to rent baby gear? If you’ve taken a plane trip with items like a carseat or Pack ‘n Play, how did you keep them from being damaged? Travel Mamas has a long list of regional, national, and international companies that rent baby gear, ranging from Mountain Baby Gear Rentals (“Essential gear for Aspen’s littlest visitor”) to UPABABY, a rental company in Portugal (not to be confused with UPPAbaby, the high-end stroller and carseat brand). Thus far, we’ve always traveled with our stroller if we thought we would use/need it. They are so easy to check – either at the check in or at the gate – when you fly and they fly for free. Bonus that you can use it to either schlep bags or the baby while traveling. That said, the pack & play has been the hardest thing for us to figure out. We rented once through a local place in a resort town. Results were mixed. It wasn’t in great condition, but it worked for a couple of days. I do recommend bringing your own sheet/mattress pad if you go this route. Recently, we’ve just ordered the cheapest, stripped down PnPs from Wal-Mart and “shipped to store.” We’ve picked up on the way from the airport to where we are staying and then donated on our way out of town. All things said, it was about the same price as the rentals above (like $45) and it was new. +1. This is what we do. Particularly if we’re staying for more than a day or two, it’s almost always more cost-effective to just buy online and have shipped to store and/or hotel at our location. And yes, I research a place to donate before I leave town. Almost every city has some kind of women’s shelter or food pantry or even a local church that will take donations. The only horrible thing to figure out is car seats. We bought some Cosco brand ones specifically for travel, but it’s really hard to travel with two adults and two kids and two car seats. And dealing with two separate car seats on a plane is an absolute nightmare. We experimented with buying at location, but that only worked because there was a Walmart about 10 min from the airport – Parent 1 picked them up, came back to airport for kids and Parent 2, and then we just left them in the rental car when we returned it. It’s enough to make us drive most places until we’re into booster seat territory. I’ve rented a pack and play and high chair from Baby’s Away. Both were in fine condition but the high chair was missing the over the shoulder straps (it had the waist straps though). I’m sure I could have called them to fix it but I didn’t. I just recently traveled and brought a travel crib (that we purchased, the Phil and Ted’s) and we bought a booster seat from Target (~$15) that we left when we came home. Our Baby Bjorn travel crib seemed really expensive when I bought it, but we have gotten a ton of use out of that thing. I bought a jumbo suitcase, the Bjorn crib fits in one half and I put all of baby’s gear in the other half (feeding supplies, toys, etc.). We end up checking a lot of bags (usually 4 suitcases for the three of us), but it works. For high-chairs, Amazon has some cloth thing that works OK for younger babies. A lobster clip seat can sometimes travels OK otherwise. For cheaper gear, we have bought things like bouncy seats or booster chairs at our destination, then donated before flying home. That seems to work OK.
We rented from Babies Getaway (haha) this past week and were impressed. We rented a full size crib, a pack and play and a city mini single. All were in perfect condition. There prices seem to be lower than the rest also. Theres a company called BabyChic NY that charges $70 for delivery. Thats insane. Let me add http://www.babyquip.com to the list. 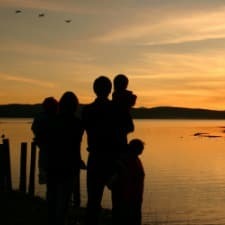 With over 300 locations to serve you in North America, we help tens of thousands of families enjoy more restful and memorable outings near and far. Clean, insured, quality cribs, strollers, car seats, toys, and tens of thousands more items to choose from. Seriously!